diversity; duplicated genes; evolution; genome duplication; mutation; polyploidy. Gene duplication is an important mechanism for acquiring new genes and creating genetic novelty in organisms. Many new gene functions have evolved through gene duplication and it has contributed tremendously to the evolution of developmental programmes in various organisms. Gene duplication can result from unequal crossing over, retroposition or chromosomal (or genome) duplication. 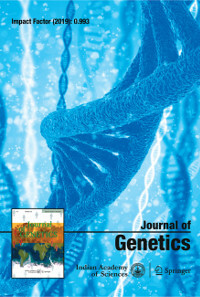 Understanding the mechanisms that generate duplicate gene copies and the subsequent dynamics among gene duplicates is vital because these investigations shed light on localized and genomewide aspects of evolutionary forces shaping intra-specific and inter-specific genome contents, evolutionary relationships, and interactions. Based on whole-genome analysis of Arabidopsis thaliana, there is compelling evidence that angiosperms underwent two whole-genome duplication events early during their evolutionary history. Recent studies have shown that these events were crucial for creation of many important developmental and regulatory genes found in extant angiosperm genomes. Recent studies also provide strong indications that even yeast (Saccharomyces cerevisiae), with its compact genome, is in fact an ancient tetraploid. Gene duplication can provide new genetic material for mutation, drift and selection to act upon, the result of which is specialized or new gene functions. Without gene duplication the plasticity of a genome or species in adapting to changing environments would be severely limited. Whether a duplicate is retained depends upon its function, its mode of duplication, (i.e. whether it was duplicated during a whole-genome duplication event), the species in which it occurs, and its expression rate. The exaptation of preexisting secondary functions is an important feature in gene evolution, just as it is in morphological evolution.